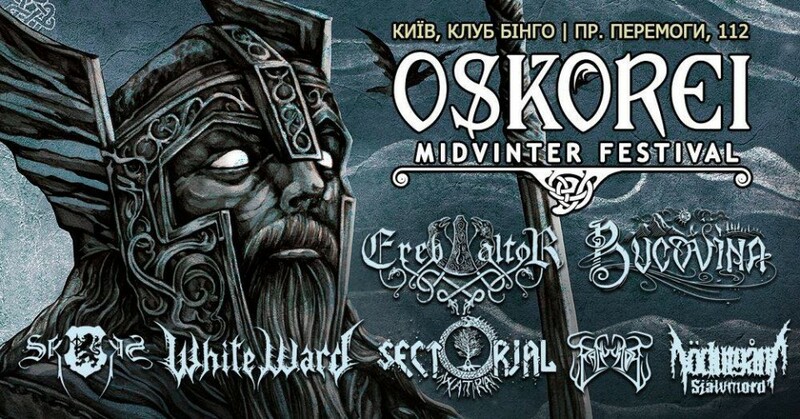 The beginning of December in Kyiv, Ukraine, will be marked by a one-day metal festival Oskorei, whose solid lineup will be a memorable experience for every admirer of heavy music. In addition to outstanding Ukrainian bands, the upcoming event also features a number of foreign guests, well-known to the true fans of black, folk, and pagan metal. Further in the article, we tell about the lineup of the festival and share comments of its organizer. 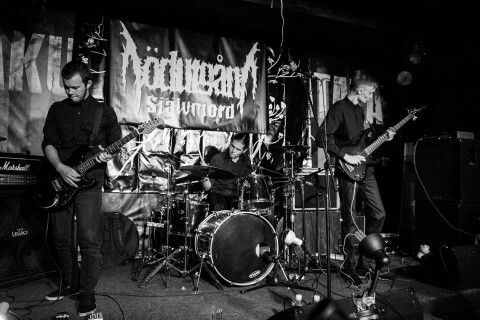 Nödutgång:Självmord is a Poltava-based act which name refers to one of the countries-progenitors of black metal genre. In Swedish, "Nödutgång:Självmord" means "Emergency Exit: Suicide" which perfectly reflects the band’s music style and thematic focus of the lyrics — the musicians play depressive post-black metal. The atmospheric set of Nödutgång:Självmord will open the evening of Oskorei. Sectorial, a long been waiting band in Kyiv (their last performances in the capital of Ukraine were two years ago), has both an impressive concert experience (it has repeatedly traveled around Ukraine and neighboring countries), and a recognition among music critics — their latest album "W.A.T.R.A." and debut music video "Tree Eater" were recognized as the best, according to the jury of BUMA. Fans of their work will not let us lie as far as a powerful flurry of emotions and irrepressible energy are generated by musicians during their sets, and how they attract the public's views with an amazing play on folk instruments. With the help of their music and charisma, Sectorial’s musicians are able to make a real show at their every gig, the nearest one of which should definitely be seen first hand. The youngest member of the festival, an up-and-coming act White Ward managed to attract the attention of many metalheads this year. 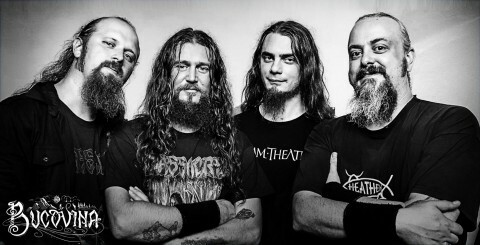 Their debut LP, "Futility Report", released this May by the French label Debemur Morti Productions (Archgoat, Arkona), was not only well received by ordinary listeners (some of the album’s physical editions are sold out now), but also by music critics — the band's desire to push the boundaries of black metal has been positively evaluated by both the well-known critic Angry Metal Guy and Metal Injection — the biggest American metal news website. Until the end of successful in all senses year, the musicians are planning to hit the road with a small tour in Poland and Ukraine, one of the concerts of which will be the upcoming Oskorei. The Romanian group Bucovina, for 17 years of its existence, firmly strengthened its place on the modern metal scene. The band’s work is closely intertwined with the music, history, and folklore of the native country, which, actually, is reflected in its very name. Hone their skills with tight tour schedules, the band regularly performs at thematic festivals, among which is the legendary Wacken Open Air. After releasing its latest record "Nestrămutat", "an album with solid musicianship and production", in 2015, Bucovina presented "Asteapta-ma Dincolo de Moarte" at the beginning of 2016 — a piercing single dedicated to a friend of musicians, a drummer Adrian Rugina who was posthumously awarded by a National Order For Merit for the salvation of people during a terrible fire at the Romanian Colectiv club in 2015. "Growing up with Bathory's epic era in their hearts", the Swedes Ereb Altor, being adepts of viking/black metal, glorify the world of nature, fantasy, and Scandinavian mythology. Almost every year the band pleases its fans with the release of a new musical opus, the last of which was the full-length album called "Ulfven", an epic and melodic release full of odes of a distant heroic past. After presenting the new LP at the Wacken Open Air, Hellfest, Kilkim Žaibu and other European festivals, Ereb Altor is preparing to perform it at Oskorei, so the Ukrainian audience will be one of the first to hear the band’s new tracks live this year. Panychida was formed in 2004 in Pilsen, the Czech Republic. Since its foundation, the band has released several EPs and demos, as well as 3 full-length albums. 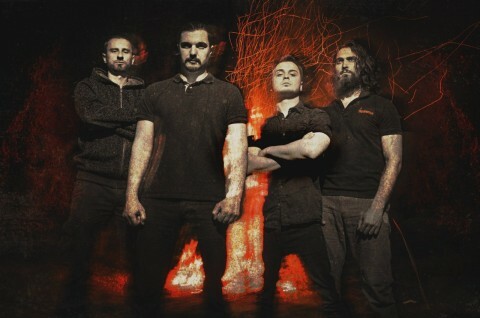 In 2016, the musicians presented their new conceptual longplay "Haereticalia — The Night Battles", later described by the metal press as "epic, powerful, and strangely melodic" with "solid riffing, very good songwriting and an execution that stands up with the best". In addition to creating music, the band also repeatedly toured abroad, hitting the road in Mexico last year with its compatriots from Inferno. At the upcoming Oskorei, Panychida, which music combines black, folk, symphonic, and pagan metal, will plunge the festival's crowd into a world inspired by ancient mythology and pagan legends. 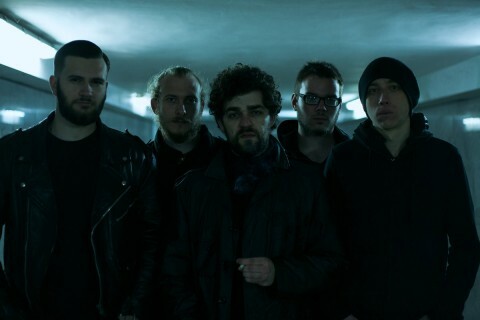 Another Swedish metal act in the lineup of the forthcoming festival, Skogen, in addition to preparing for the debut performance in Ukraine, is also finishing work on its new full-length album. According to the leader Joakim Svensson, the band, which name means "forest", always looks for a natural sound and doesn’t see itself as a massive touring band, selectively accepting the proposals of the organizers. This winter, the Ukrainian metalheads will have the opportunity to experience personally the beauty of northern harmonies and immerse into the atmosphere of contemplative black metal. Also ahead of the festival, we asked several questions to its organizer Konstantin Żmijewski [Konstantin’s answers are translated from Russian by Noizr]. This is the first year when the festival’s lineup mostly consists of the foreign bands. What’s the reason? Konstantin: This is due to the natural aspiration of the festival to grow and develop into an adult high-level festival with a large number of bands, which for various reasons are difficult to meet at any other concert in Ukraine. How much do Oskorei lineups show your personal musical preferences (this year, in particular) and what other factors do you rely on while selecting bands? Konstantin: All members of the festival to some point reflect the personal musical preferences of the organizers. There are no fashionable profitable groups at the festival, and they can’t be here, also it’s not a contest of young talents. Actually, this is probably one and only factor in the selection of bands at the moment. Has it become easier for you to make booking of bands and organize the festival, in comparison with previous years? Did visa-free regime affect this situation somehow? Konstantin: Definitely, it hasn’t become easier. Clearer — yes, but not easier, taken into account that every time we set the bar all the higher for ourselves and for the festival. The visa-free regime didn’t affect it at all, and actually it could not affect. Visa-free regime can only affect the audience loss, not its adds. In fact, booking can be significantly influenced, and it has been already influenced to a certain degree, by coming of available transporters to the Ukrainian concert market. And, of course, good and reliable partners in Europe. 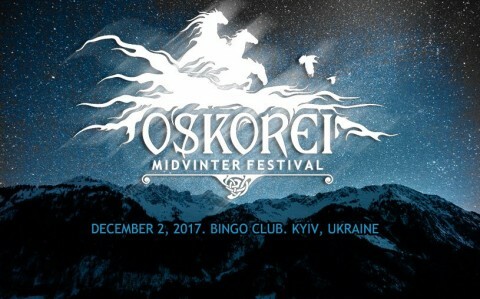 Oskorei — Midvinter festival 2017 will be held on December 2 at the Bingo club, Kyiv, Ukraine. Tickets’ cost is 400-700 UAH. Event on Facebook.